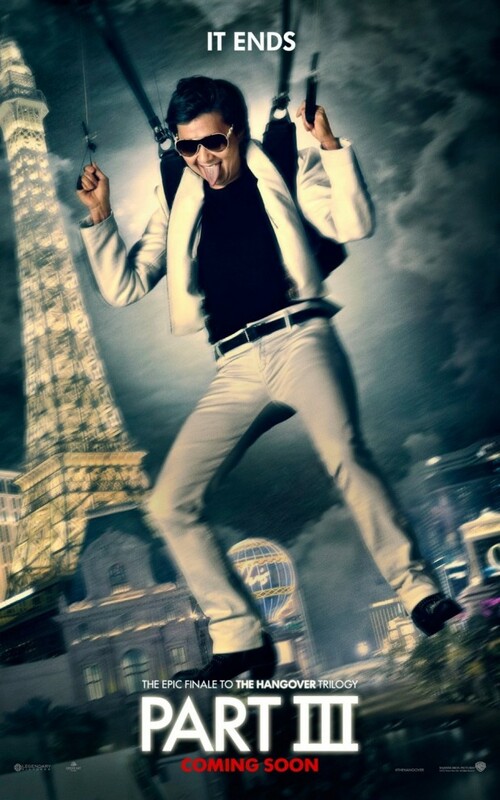 Warner Bros. is getting ready to release The Hangover Part III and the marketing campaign for the film is starting to kick into gear. With just over a month to go until the film hits theatres, anticipation for the finale to Todd Phillips’ trilogy is building and today, we have a new trailer as well as several character posters. Admittedly, the first trailer was alright but it didn’t give us a good enough look at the film to really get a sense of how the series was going to close off. With this trailer though, we get more on the plot and we can safely say that it will indeed use a different formula than its two predecessors. This time around, from what we can tell, the story concerns Leslie Chow, who stole $21 million from John Goodman’s character. 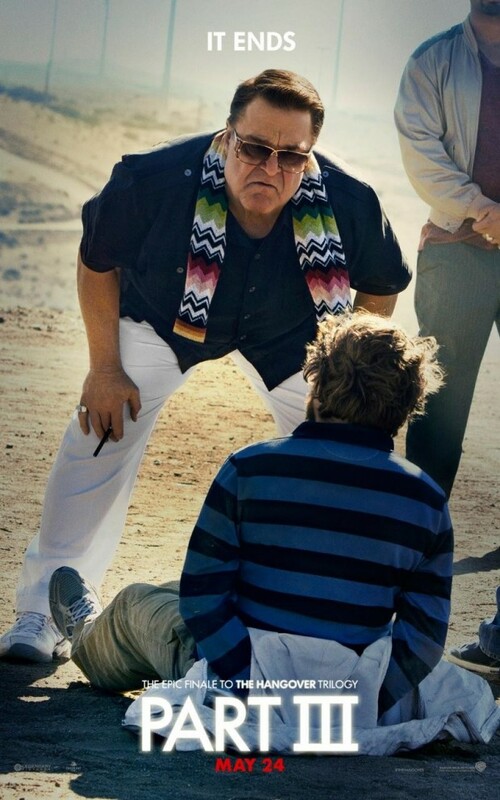 Knowing that only the Wolfpack is capable of finding Chow, Goodman’s character takes Doug hostage until the boys can lead him to Chow. Poor Doug, once again he’s missing out on the action. Though at this point I think that’s kind of the running joke. Speaking of jokes, that’s the only problem I had with this trailer. 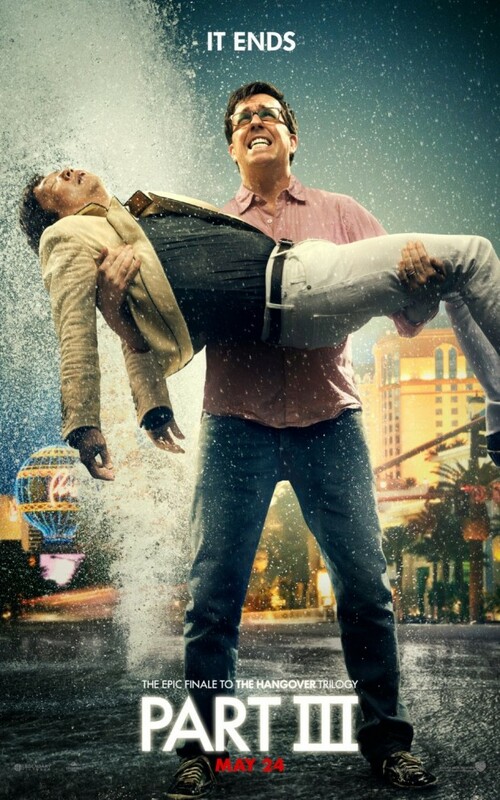 The Hangover Part III looks good and all, but I didn’t laugh once. Here’s hoping that they’re saving the best moments for the actual film but from what I saw here, I’m a bit concerned. Even the parts with Chow and Alan didn’t have me smiling. 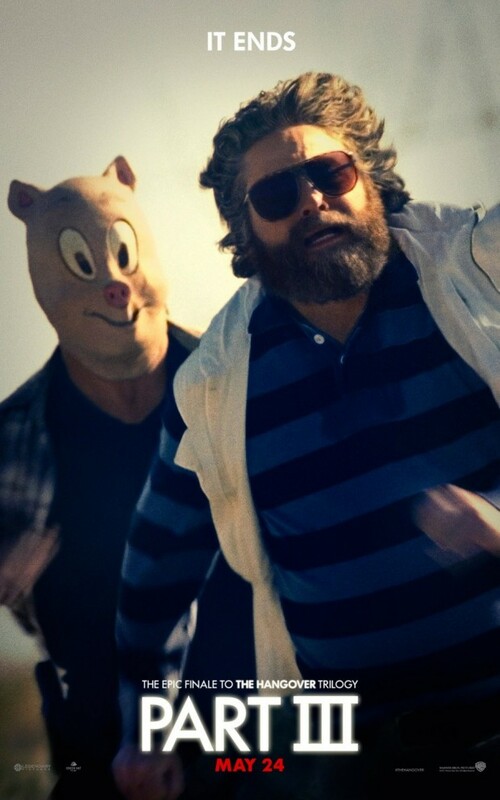 Still, The Hangover Part III has me excited. It will be a fitting end to a solid trilogy and getting to see the gang together, back on screen again will be worth the price of admission. 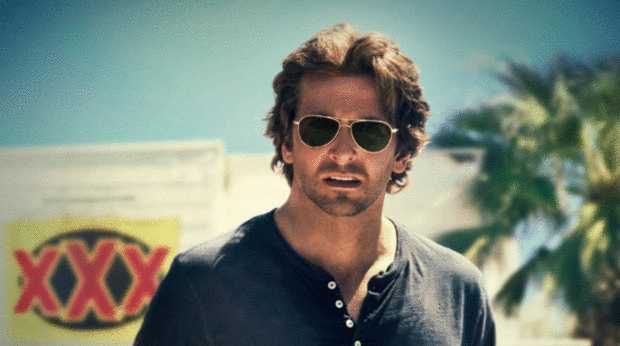 The Hangover Part III stars Bradley Cooper, Zach Galifianakis, Ed Helms, Justin Bartha, Ken Jeong, Melissa McCarthy, Jeffrey Tambor, Heather Graham and Jamie Chung. It hits theatres on May 24th, 2013. Check out the new trailer and character posters below and then head to the comments and let us know if you’re looking forward to the return of the Wolfpack.